If you hire a graphic designer to design your logo, make sure that you get the correct files once the logo is finalized. Generally, designers will work in Illustrator to design your logo. Adobe Illustrator is a vector based program, rather than a pixel-based program like Photoshop. Vector-based images can be resized both larger and smaller without diminishing the quality. On the other hand, pixel based images do not resize well. As you can see in the example below, the vector-based Illustrator file (top) is created with just a few points and a mathematical formula determines the curves and lines in between. The pixel or bitmap based Photoshop file (bottom) looks digitized and has blurry edges when resized from a low resolution file. The vector version (Illustrator eps files) of the Visible Logic logo. 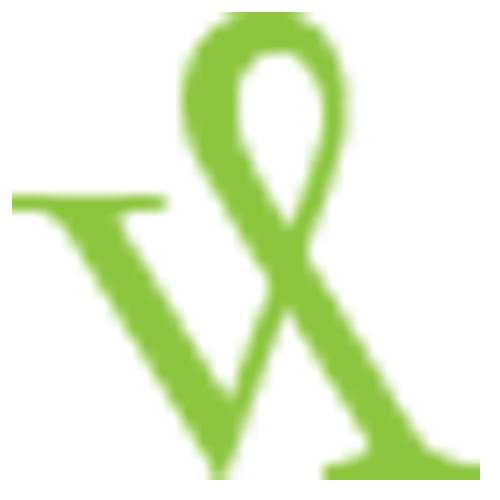 Visible Logic logo resized from a pixel-based program such as Photoshop. Your final logo artwork will probably be an Illustrator eps (Encapsulated Post Script) file. Now it’s likely that you do not have Illustrator, so you will not be able to open the file. But that’s OK. You only need to be able to place the finished eps file within documents or provide it to vendors for such things as business card printing, signage, etc. An Illustrator eps file is the gold standard for your logo files. In fact, if your logo designer says they are working in Photoshop, you are probably not going to get files that will be universally useful for you, your printers, your other vendors, etc. And it will in fact cause problems for you in the future, if not immediately. Whenever you have a reason to pass along your logo to a professional, give them the eps version, unless another format is specifically requested. The benefit of an eps file is that it can be sized up or down without restriction and without deteriorating the image quality. It also has a transparent background so that the logo can be placed in any situation without a problem. A jpeg, on the other hand, will always have a white box as the background of the logo. Professionals such as graphic designers, web designers, printers and sign makers can convert the eps file to whatever size and format they need. The problem is often that you may not be able to place an eps file in documents such as Word or Powerpoint files. Whenever you are working on something that requires your logo, always try to use the eps file first. If the software does not let you place or import an eps, then you will be forced to use an alternative format. Jpegs are the most common image types that many of us are familiar with. They can be easily placed within Word and other software programs. There are two common problems with jpegs files: they do not resize well, and they have a background fill (such as white). Therefore jpeg images need to created with their end use in mind. Here are some examples. If you are creating a jpeg for a large, printed poster, then the file should have a resolution of 300 dpi, it should be set up four-color (CMYK rather than RGB), and should be at a large enough size that it does not need to be resized very much upon placement in the layout program. On the other hand a web graphic should be saved at 72 dpi, and in rgb format. The size should be close or exactly what it will be on the web page. If you are placing your logo on a black background, for example, you’ll need to create a jpeg with a black background. As you can see, it’s easy to end up with a large library of these images because you need one for every specific usage. And, you may not have the tools to make all these variations. You’ll need to start with the eps file to create the jpegs in these various formats, and your designer may need to be the one to do that for you. Gifs and png files are an alternative to jpeg, but allow for a transparent background. However, they have essentially the same limitations because they are also pixel based. You will again need to create the file with the correct size and resolution for the end usage. Whenever we design a logo for a client, we provide a large library of final electronic files. The key files are the Illustrator eps files, and we usually provide them in Pantone (PMS) color, four color, grayscale, black, and white versions. That handful of eps files are the most critical. Then, we build a whole library of jpeg and gif files. We create a wide range of files in different sizes and resolutions to span most of our clients needs. As you can imagine, this is a large library of files. It is not uncommon for us to provide up to 100 different variations for them. What kind of files did your logo designer provide you? Were they sufficient? Do You Need a Pantone (PMS) Color for Your Logo or Brand Identity? Thanks for spelling this all out Emily – great article! Where I work in the web and not print, I run into this many times, where we get a JPG only and that’s what we’re expected to use to resize for the Web site. NOT! Working with a true, professional graphic designer who has experience with both print and Web is the only way to go. And it’s not even an issue of cost. If someone doesn’t offer what you have presented here, and they are cheaper, you will certainly pay more down the line to get it done right. Been there, seen it, never pretty… or cheap! I am trying to place a logo file (originated in Illustrator) into Word and have the clearest possible resolution on screen. It also needs to print clearly. Have you any suggestions for format and resolution? We are trying to keep the file size down as well. Candy, If you can place the eps file do that. It may look jaggy on screen, but should print fine. EPS files are generally very small files, too. PS Sorry for the late reply, we’ve been busy moving the offices here. Great post – spells it out clearly for the graphically impaired. Thanks! I feel original PSD or AI files should be kept with the designer with the option to purchase them off designer for an agreed price. A bit like buying the original negative (or RAW file nowadays) off a photographer. I am trying to get the best quality for a logo with gradients but when I export to an eps file, the gradients become bands. Is there any way around this? Sylwia, You may be seeing the bands when it previews or is placed within a file. But it shouldn’t actually print or reproduce that way. Thanks so much for the post!!! Very helpful haha as a graphics amateur! I have been using Canvas for many years and I have in the past exported as JPG with very good results. Unfortunately canvas does not import AI well and without AI I cannot read/view an AI file. If I export a Canvas file as AI I am not able to check it. Do you have a suggestion for an AI reader? Most print providers do not use or accept Canvas. Sorry, John I do not know about converting from Canvas. This is why it pays to use the right professional tools. My print shop is asking for editable PDFs, original AI files or PNG files. They said that EPS files are going the way of the Dodo bird. Are you finding this to be true as well? @Astermax. Editable PDFs are essentially the same as Adobe Illustrator files, but definitely not the same as PNG files. 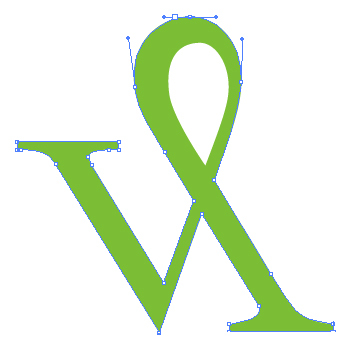 The logo file should be created in a vector-based program, and saved in a vector-based format. That normally means creating it in Adobe Illustrator. EPS, native AI or PDF would all retain the vector information. PNG will not. PDFs can be a great hybrid because they are viewable by more people / systems than an eps. @Rosemary Yes, you’ve figured it out. Jpeg and png files do not adjust in size well. They get pixelated or blurry looking. That is why we send all of our clients a logo library of files of different sizes. You may find with the lastest version of Word and Powerpoint you can place an eps file, however it may or may not print right. If you are able to get the eps to work, use it. Don’t worry that you can’t open it, just choose Insert / Photo / Picture from file and place it. That’s great. Thank you so much. is it only possible to create a quality .eps file in Illustrator because Photoshop offers the same option. Is there a difference in the quality? Kim, Anything created in Photoshop will be created using pixels, and will not be vector-based. It is confusing that PhotoShop allows you to export an eps, but that will not be a vector-based eps. So if you create your logo as say 2-inches wide and then want a large sign made, the edges will not look crisp when you scale it up. i am trying to place animated gif like logo on the video, so did u have any suggestion for that ? Hi, I love this article! Great read for us graphically-challenged! My graphic designer is family and gave me a great rate for my design. I asked him for a logo I can use on my website, as well as for printing my business cards. He sent me a jpeg file. He does not use Illustrator. I am guessing I should use an eps file for my website (?) and possibly to print any materials, then jpeg files for any word/PowerPoint documents. Any way to get eps files from using photoshop? @Lola, You’re actually going to be OK with the jpeg on your web site. But eventually you’ll probably want a higher quality version. The problem with designing in Photoshop, rather than a vector-based program like Illustrator is that it doesn’t scale well. Your jpeg will lose quality whether you try to make it larger or smaller. You’ll need to re-create it in Illustrator. is it normal like that ? Yes, this is surprising as what is the point of someone having a logo, if they do not have access to the high-quality files that should be part of the deliverable. It’s going to make you look bad, in some cases, if you can only use a jpeg. However, if you were not working with a contract, this may need to be negotiated. I am getting a logo and typography designed for my brand. My graphic designer says that they will give me only the EPS file. How can I use this file to put it on my social media icon and website? I don’t have adobe illustrator so I won’t even be able to open the file?